Could the amount of funding and number of placements for student summer jobs in Canada double? The federal government says this is the case. The Liberals announced changes to the Canada Summer Jobs (CSJ) program on Monday, saying they are making good on their election promise of employing more youth. 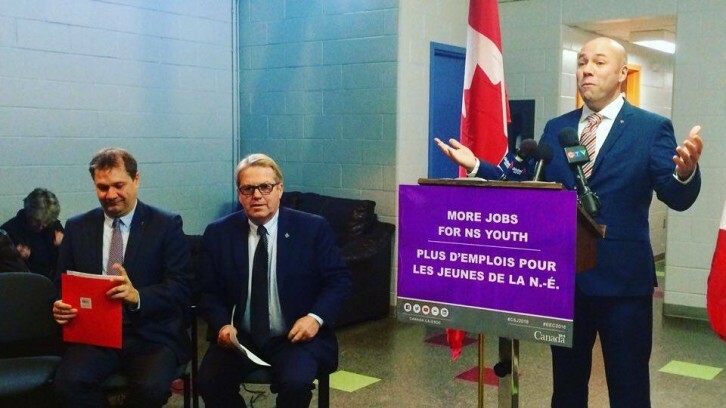 The announcement took place at the YMCA Employment Centre on Gottingen Street. Andy Fillmore, member of parliament for Halifax, and Rodger Cuzner, parliamentary secretary to the Minister of Employment and member of parliament for Cape Breton–Canso, delivered the message. The Liberals say 70,000 students will be hired coast to coast this year, nearly double the 34,000 students taken on last year. In Halifax, 200 students were hired last summer. Locations with the highest levels of unemployed students will receive more funding than those with stable rates – which is good news for Nova Scotia’s ailing labour force. Fillmore and Cuzner urged eligible Nova Scotia employers to use the updated CSJ program. The application deadline has been extended two weeks to March 11. The current CSJ program funds non-profit organizations, public-sector employers, and small businesses that have 50 or fewer workers. Legally allowed to work in Canada. The YMCA is a recipient of CSJ funding. Brian Posavad, YMCA president and CEO of Greater Halifax/Dartmouth, said they hire many young people. “A perfect example is a youth camp counsellor or camp resource person who then affects another 100 youths,” he said. Alex Bryant, president of the King’s Students’ Union, said an increase in funding to student work programs was promised during the last federal election – after students pressured parties to improve rates of youth unemployment and underemployment. The CSJ’s annual budget has not been increased since 2009. The Liberals say the 2016-2017 budget is going up by $113 million to $220 million for each of the next three years. Cuzner said the program nearly disappeared when the Conservatives were in power. “To understand the significance of today’s announcement, look back 10 years and know and understand that this program was almost lost,” he said. The Concordian reported in 2006 that the Conservatives gutted $55 million from the Student Career Placement Program (SCP), resulting in 25,000 lost job opportunities.